10 months 2 days ago. 2 years 10 months ago. Greetings and salutations from Berkeley! Michaella Joy, Sara Ruth, Rebecca Rose, & Peter J 9 months 2 weeks ago. Come see me in UT Austin. 2 years 2 months ago. One of two new works created for Kisses Kisses is this zine: https://issuu.com/yaelkanarek/docs/kisses-zine/1 2 years 11 months ago. Yael Kanarek / World of Awe shared an album. Here's a the photo album of "Kisses Kisses." 2 years 11 months ago. A lucid and insightful review of "Kisses Kisses" by Illya Szilak . Thank you! 2 years 11 months ago. The fantastical production is a team effort of media artist Yael Kanarek, composer Yoav Gal, and dance-filmmaker Evann Siebens, packaged as an enhanced CD collectible art-object designed by Mushon Zer-Aviv. Together, it is a World of Awe production, helped along by a residency at Harvestworks. And what a production it is. The plot (in itself an award-winning narrative) revolves around a lone traveler who searches for a lost treasure in a parallel world. Finding a portal in front of 419 East 6th Street and performing a dance right there in the street (see it when you place the CD in your computer), the hooded traveler escapes toward Sunset/Sunrise. Like clusters of angels caught in various beams of light and held suspended as their songs bleed through to our world. Actually this is a “postmodern opera”, and features a performance of the opening track Portal as a Quicktime movie in addition to the eleven songs. The musical backing and interludes are all performed on an Atari 800XL. Soprano Sarah Rivkin’s voice is sometimes layered into choirs of operatic/angelic voices. The Atari 800XL sections have a thick antiquated/timeless quality, sometimes almost sounding like a seriously deranged harpsichord. Quite lovely, listenable, and beautifully packaged as well. A gorgeous work for Atari 800XL and soprano voice, this multimedia disc on Innova Recordings really threw me for a loop. There are many layers of meaning here, to the point that its ultimately unclear what’s happened. Nevertheless, this release really pushed the envelope of how much can be asked of the listener. I’m more than certain I’ll be using a large portion of 2007 to continue figuring this album out. Gal and Kanarek contrive an unsettling universe. Kanarek’s cryptic story unfolds through a traveler’s postcards. 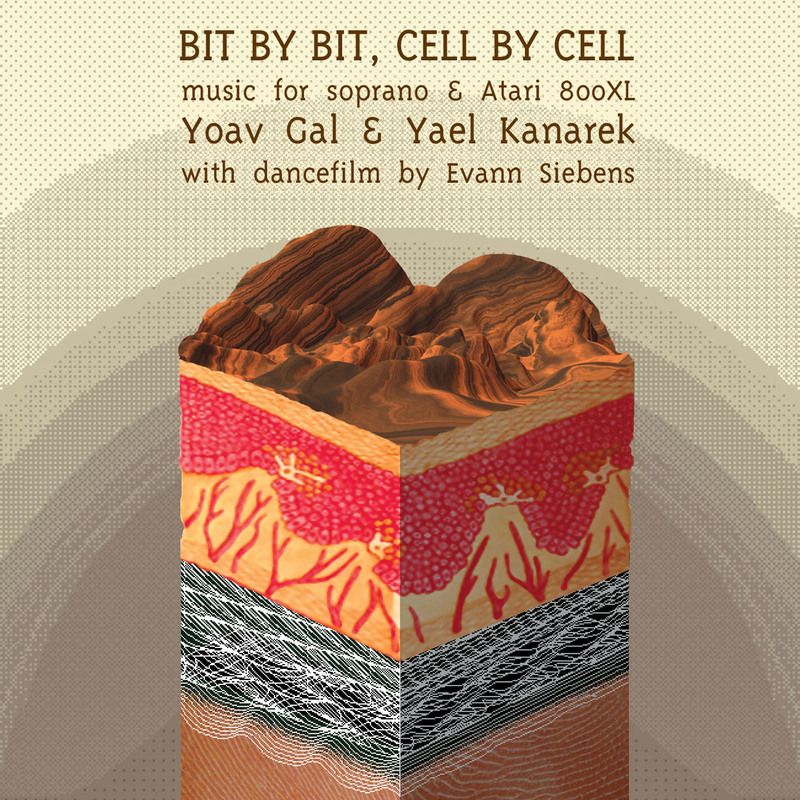 Gal’s music extends Rivkin’s serenely innocent soprano with campy processing and gushy electronics, his only tool being an ancient Atari 800XL. Taken together, the audio, the booklet, the enhanced CD’s video and the online site (http://www.worldofawe.net/), Gal and Kanarek lay out a puzzling mystery in a parallel universe utterly askew. The short track “Grid” ranks high amidst techno-minimalist chatter, à la Reich and Lentz. Gal’s artfully constructed retro score achieves more than the work of many who compose with up-to-date gear. Taking his cue from the hyperlinked, hyperreal digital landscapes of Yael Kanarek’s WorldofAwe, Yoav Gal constructs 11 sonic typographies from an old Atari 800XL, the voice of soprano Sarah Rivkins, and some alert sounds borrowed from Apple. Repeating layers of samples are deposited on top of one another until out of the cumulative weight are forced verdant valleys and hard mountain ranges. The texture is at once enveloping water and resistant granite. Intended originally for choreography – a sample video is included on this enhanced CD – it is effective, music of physical effect demanding a physical response. Gal’s compositional technique borrows much from medieval polyphony: vocal samples stretched inside the Atari across an inhuman tessitura create possibilities for refined mensural canons, as well as a curious human-nonhuman chorus effect that can be melody, accompaniment and sonic environment all at once. It is in this world that the Traveller of WoA finds herself in pursuit of an elusive treasure. Her journal narrates her experiences in this mysterious world; she also uses it to set down letters to an anonymous and absent lover. WoA is set in a hinterland that is both sunset and sunrise; and this is also how she comes to sign the letters. It soon becomes apparent that dusk/dawn is not the only duality that has been obliterated, as voice becomes sound, organic becomes digital, Traveller becomes landscape. It is no longer clear in this hexadecimal hallucination who these letters are from, or who they are to. In the end, as the Traveller gives herself up, bit by bit, cell by cell, to the rapture of digital oblivion, she perhaps discovers that after all, she is also the treasure she has been searching for. It’s fairly high-concept stuff – and you can include the low-tech approach in that equation – but perfectly accessible and often quite beautiful for it.